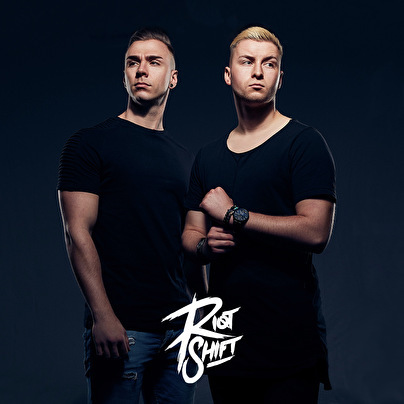 Riot Shift aka Ole Baehr and Connor Kratz are a steady force in the Theracords crew as they have worked tirelessly to bring a fresh and experimental sound to the Hardstyle scene. A unique combination of captivating atmospheres, heavy kicks and DnB influences is what defines their style of music and will without a doubt capture any crowd that witnesses a performance by this German Raw Hardstyle duo. They noticed their musical connection during a collaboration at the end of 2016 and decided to continue their musical career together from then onwards. With performances at events like Fatality, Ground Zero Festival and Loudfest (by b2s) they set the tone for their DJ career. In the meantime, their unique productions are gaining on-going support from artists like Delete, Deetox, Dj Thera and Regain. In 2018 their journey continues, as Riot Shift already have achieved a lot in this short period of time after signing to Theracords. With massive tracks like Extasis, Engage and Sin & Sentence, these German masterminds marks a bright future. The quality and potential of this duo is undeniable and will conquer the hearts of many. Next to their astonishing productions, Riot Shift also conquered new stages as they performed on Intents, Rebirth- and Phoenix Festival. In 2018 the riot will pursue its way to achieve new and bigger goals as they are always stepping beyond oneself.